"Dubfire (aka Ali Shirazinia)—one half of the Grammy Award winning and four-time nominated electronic music duo Deep Dish—has joined forces with Global Underground for the April 10 release of his first solo mix album Dubfire GU31 – Taipei. The 2-CD mix set is a sweeping change from anything you would have previously expected to hear from the Deep Dish member and it features the finest in house, electro, techno, and even industrial music. 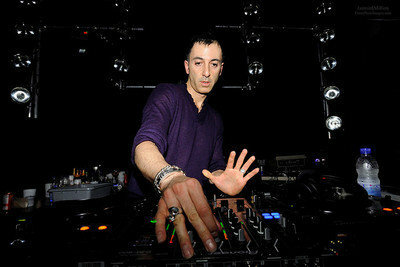 Growing up in the Washington, DC area, Dubfire spent much of his youth playing the guitar in school bands and listening to heavy doses of classic Hip-Hop, jazz/rare groove, dub reggae, new wave and industrial. Dubfire was also influenced by the local punk scene and the music of hometown bands like Fugazi and Minor Threat. Members of these bands also worked at a local record store called Yesterday And Today Records, and this is where Dubfire first picked up on the sounds of acts such as Kraftwerk, Ministry, Jesus & Mary Chain, Depeche Mode, Nitzer Ebb, Adrian Sherwood/On-U Sound and Einsturzende Neubauten. Through this heavy industrial influence, namely the sound of Chicago’s famed Wax Trax! label, Dubfire discovered the Chicago house scene and what labels like Trax and D.J. International Records were releasing. Tomorrowland 2015 (Belgium) - Dubfire, John Digweed, Sven Vaeth, Josh Wink + more. All times are GMT -4. The time now is 12:32:08 AM.